How many different places can you becaught reading with the dragon? Is it at the park? At the pool? At the beach? In the car? At an amusement park? At Home? Find the most unusual place!!!!! All you must do is read with your dragon this summer and have your picture taken with it. Bring the picture to school with you in September and be part of the dragon celebration! Don’t forget to participate in the Arlington County Library Summer Reading and receive a prize from them. You can send the pictures to my email too. I will post these on the library webpage and on my twitter account. Don’t know where the library webpage is? Go to the Drew Homepage. Top right corner, click on Library. 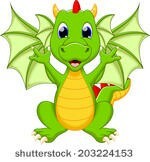 I will have a summer reading page where I will post the books I am reading and the “Catch a Dragon” reading pictures. Let’s have a fun summer of reading!!!! !